“I wonder …” a question one should never ask if one has access to the Internet. Recall from my previous post that I finally bought a length of leather thong to refurbish my CHEMEX. Today “I wonder …” crossed my mind. I do not know what the shipping cost would be. 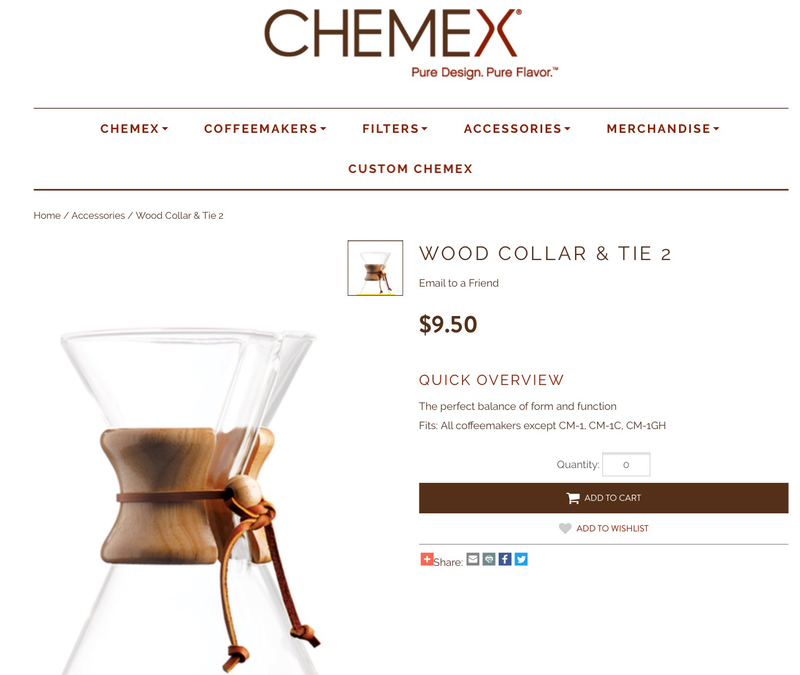 The irony is that the cost of new wood collar + wooden bead + leather tie direct from CHEMEX is about what I paid for the leather thong at the craft store. Perhaps in the future I will upgrade. It is nice to know that I can.